At my current job here in New York City I am constantly surrounded by professionals, mainly financiers and accountants. While the vast majority are typical White men, on occasion I see men of color. In even rarer occasions Black women are also present. While I immediately find myself examining each detail of their dress and mannerisms, the biggest thing I pay attention to is their hairstyles. 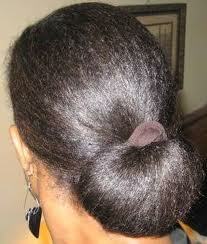 While many of these professional Black women wear straight, sleek styles I’ve seen several natural-hair styles as well. Back home in Ohio, there is an intimidation stigma associated with wearing natural-hair styles in a professional workplace. It’s generally thought that if you do have natural hair, you should tone it down as much as possible initially so as to not give off the “Black power” vibe…no offense, it is what it is. I see no evidence of that intimidation-factor here. Below you will find photo examples of several of the hair styles that I have seen Black women rock fearlessly, always paired with a finely-tailored suit, nice handbag and beautiful smile. With creative styling and a nice cut to give a balanced shape, a wash n go can be a winner in any professional setting. 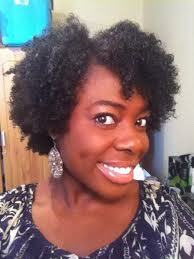 My favorite style I saw was a wash n go that was well-moisturized and nicely-shaped. The sista was dressed nicely as well so her hair was the perfect accessory to add a little spice to the overall look. Twistouts can be worn straight down or sections can be pinned back to create different looks. Twistouts have possibly been the most popular. Most of the naturals I see have hair-length that looks like it’s within it’s first year or so of transitioning, if not a big chop, so they have TWA’s (teeny, weeny afros) that they put into several twists, then took out the following day to create wonderful curl definition. Thus far, it seems to be the most resourceful style-it’s a flattering look to achieve and maintain. 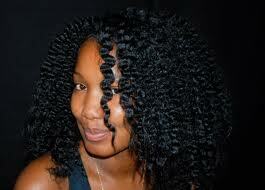 As soon as your twists start frizzing up and getting messy looking, you should definitely redo them. 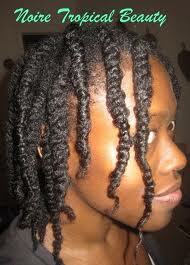 I once saw a woman rocking the staple twists style. I must admit that it wasn’t the most flattering, mainly because the twists were quite fuzzy and her mocha-colored pantyhose in the 85-degree weather contrasted sharply against her deep-brown skin tone. This has easily been my least favorite look, but the sista was still able to confidently show her face despite it. This staple stye is a winner in any circle. Lastly, the slicked back chignon has made several appearances. This sleek look is quite sophisticated and fits best with extremely conservative work environments. « Jordan V’s? Why Not!